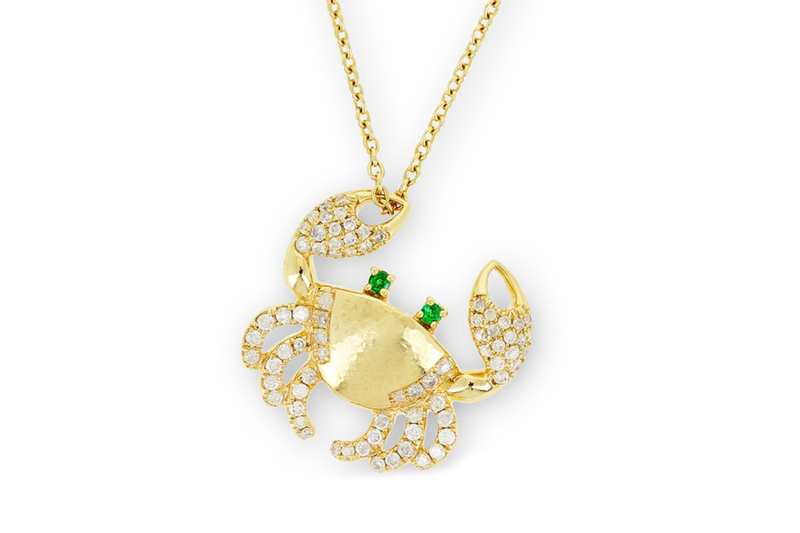 How fun it is to wear dangerous species terrifying lots of human-beings set with precious stones and mounted with such delicate designs you’d never want to get rid of them. 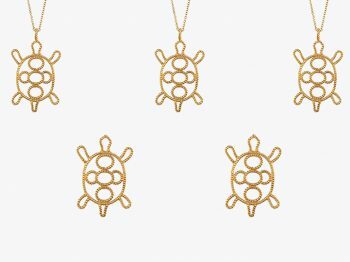 The Eye of Jewelry spotted 10 precious animals to wear all summer ! 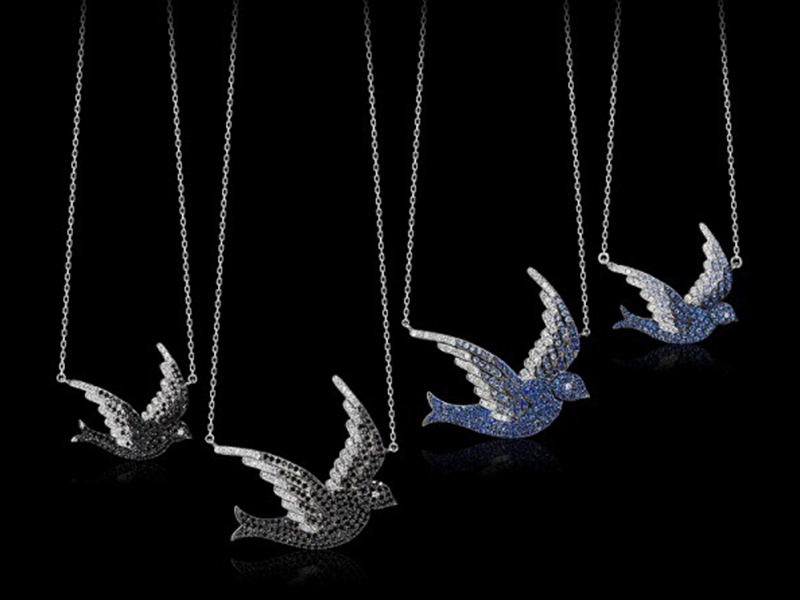 1- AS29 – From the Pave Bird Collection, the pendants are mounted on white gold and set with white diamonds and blue sapphires. 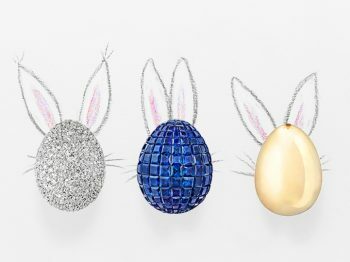 ~ 2’500 Euros. 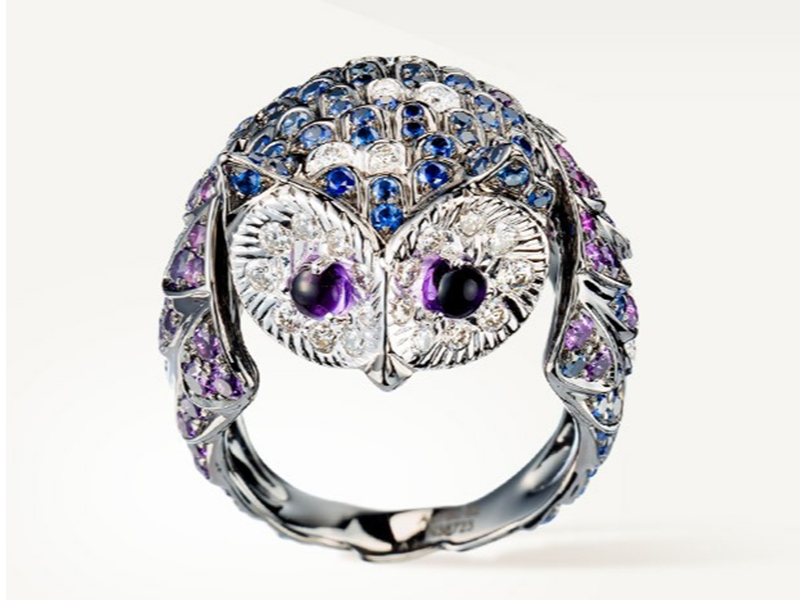 2- Boucheron – Noctua Ring “La Chouette” paved with brilliant cut purple amethysts, blue sapphires and diamonds. 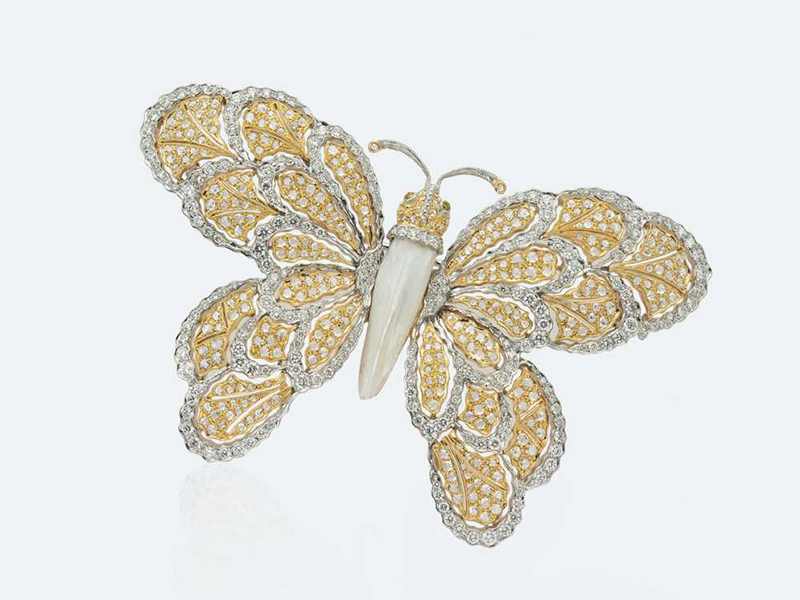 3-Buccellati – Brooch from the Otto Dorato collection, mounted on a mix of yellow and white gold; set with pearls, brilliant cut diamonds and rose cut diamonds. 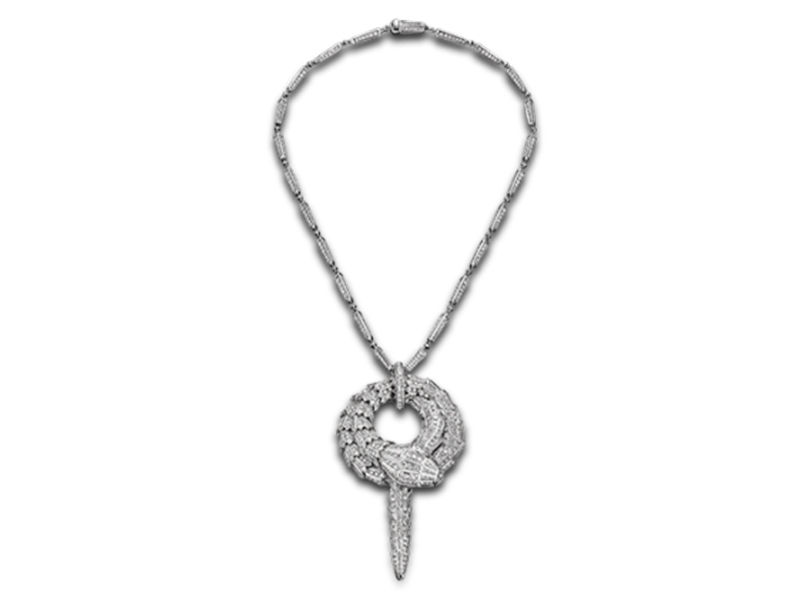 4-Bulgari – A necklace from the Serpenti collection mounted on white gold 18 carats and paved with diamonds. 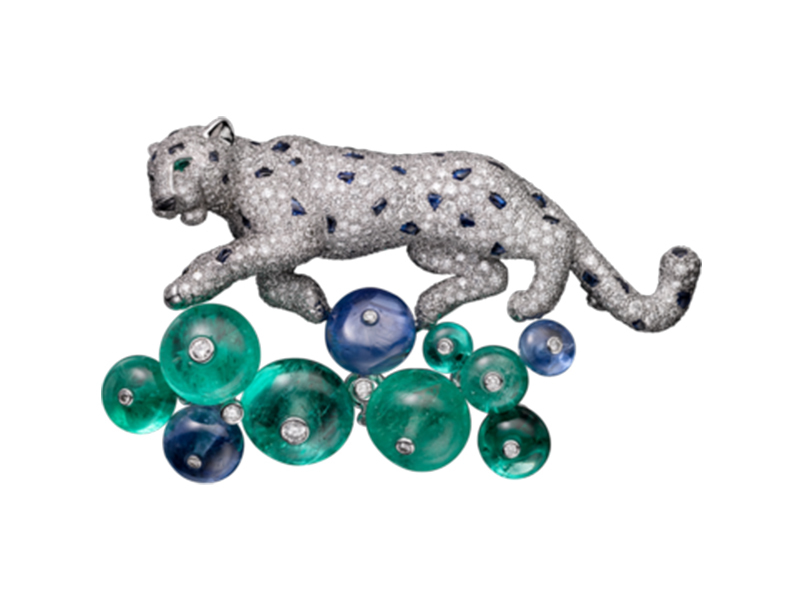 5- Cartier – Panther brooch from the high jewelry collection mounted on platinum with emeralds, sapphires, onyx and diamonds. 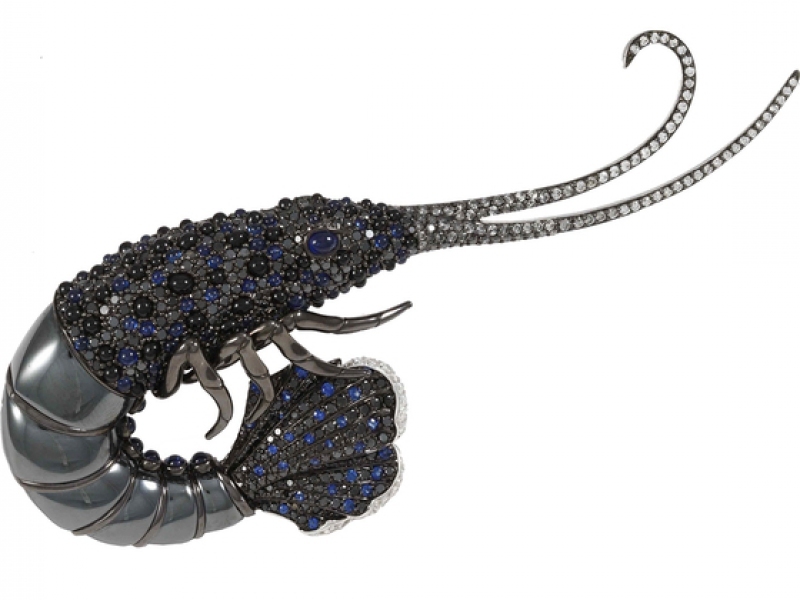 6- Stephen Webster – The langoustine brooch mounted on 18 carat white gold is composed of hematite, onyx, black and blue sapphires along with white diamonds. ~ 40’000 Euros. 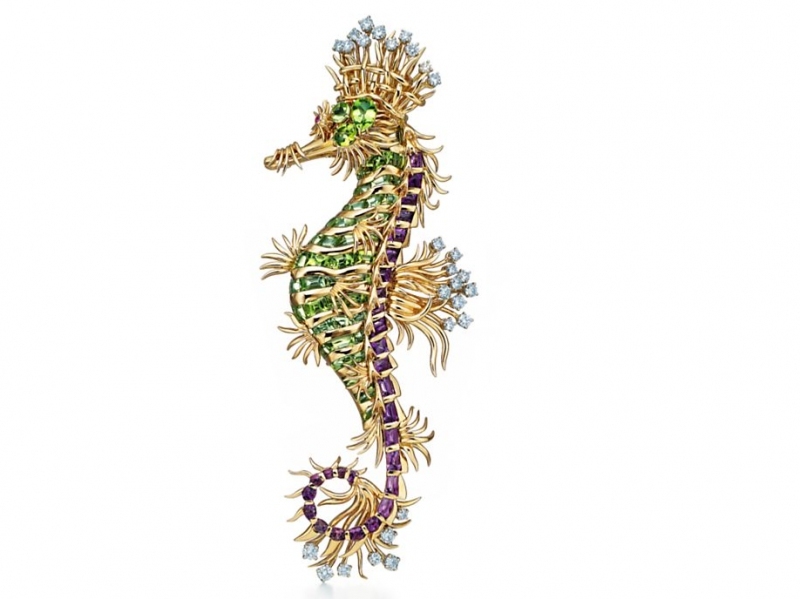 7- Tiffany & Co. and Schlumberger – The clip seahorse is mounted on 18 carat gold and platinum with peridots, diamonds and amethysts that adorn one pink sapphire for a total carat weight of 9,88 cts. 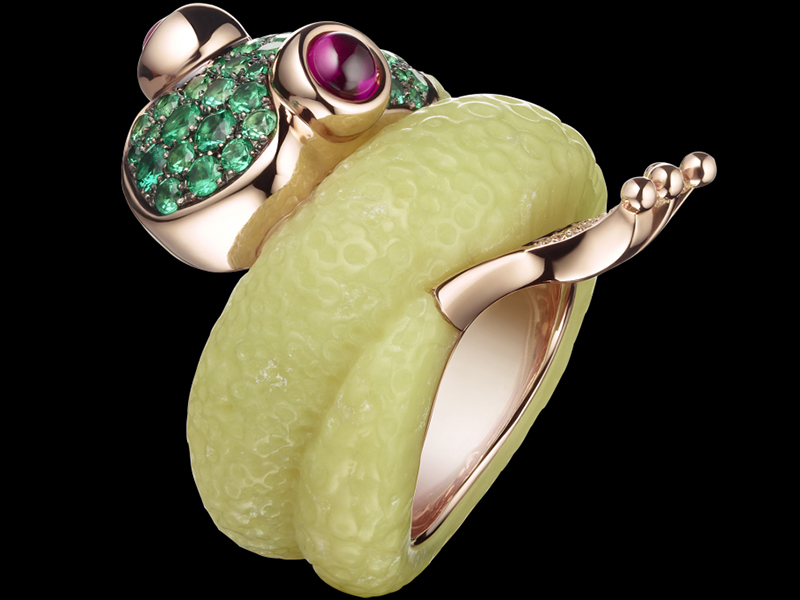 8- De Grisogono – The mascote ring mounted on pink gold with emeralds, rubies and green alabastrite. 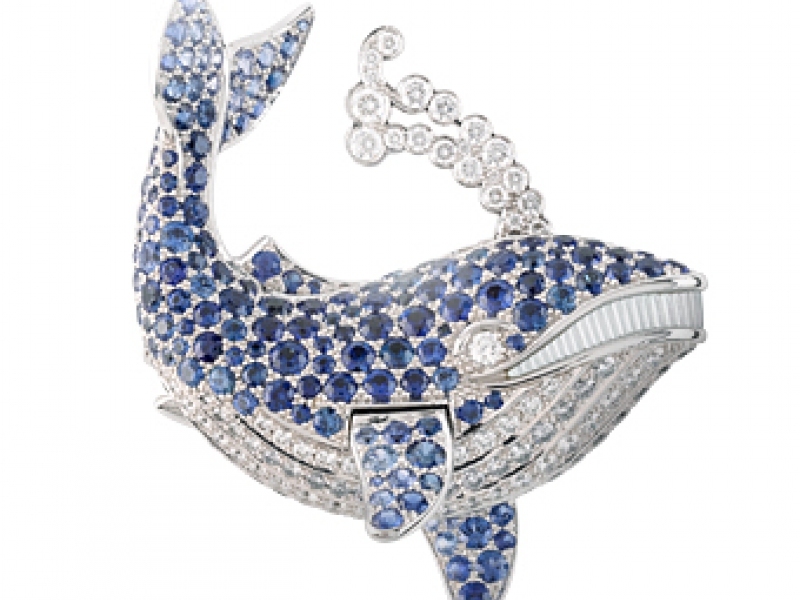 9- Van Cleef & Arpels – Taken from the collection Les Voyages Extraordinaires, the blue whale or Baleine Blue Clip is mounted on white gold and different shades of blue sapphires and diamonds. 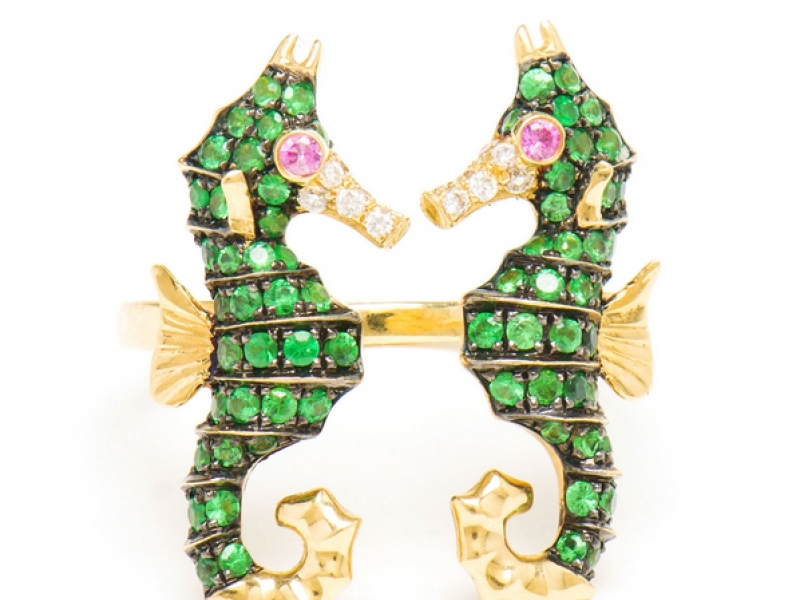 10- Yvonne Leon – The double sea-horse ring is mounted on yellow gold with diamonds, green tsavorites and pink sapphire. 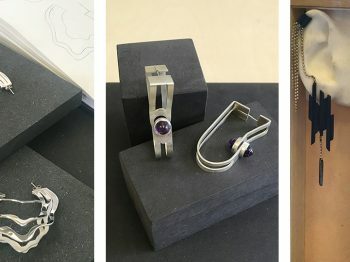 ~ 2’550 Euros.